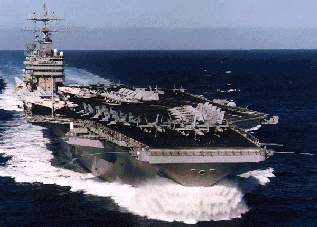 USS ABRAHAM LINCOLN is the fifth ship in the NIMITZ - class of nuclear powered aircraft carriers. This section contains the names of sailors who served aboard USS ABRAHAM LINCOLN. It is no official listing but contains the names of sailors who submitted their information. 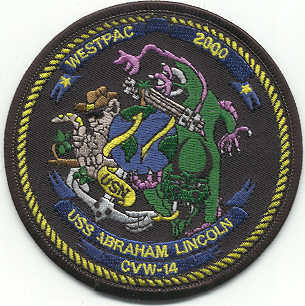 Click here to see which USS ABRAHAM LINCOLN memorabilia are currently for sale on ebay. Abraham Lincoln - born on 12 February 1809 near Hodgenville, Ky. - lived in Kentucky until the age of seven. At that time, his family moved to southwestern Indiana where they lived until 1830. During the sojourn in Indiana, Lincoln made a trip down the Mississippi to New Orleans, La., that probably provided his first face to face confrontation with slavery as an adult. In 1830, Lincoln moved to Illinois with his father's family but struck out on his own the following year. He hired on for another flatboat trip to New Orleans, and, upon his return, the promoter offered him a job in his store and mill in New Salem, Ill. Unfortunately, both businesses failed within the year. At the time when Lincoln's livelihood became precarious, Chief Black Hawk and his Sac Indians had the impertinence to try to take Illinois back from the white man. Lincoln joined the local militia company, and his personal popularity won him election to the office of captain. His lone opportunity for military distinction came to naught, however, for, to paraphrase his own words, all he ever chanced to fight were mosquitoes. Returning to New Salem, Lincoln tried his hand at a succession of occupations - among them postmaster, surveyor, and store owner - before settling upon the unlikely choice of law. Unlikely because he had only about a year of formal schooling to his credit. On the other hand, as a youth he had learned to read, write, and to do arithmetic and had become an avid reader. In addition, the study of law in the early 19th century could be rather informal in general, and admission to the bar on the frontier was even more so. In any event, he obtained his license to practice law on 9 September 1836 and, the following year, moved to Springfield, Ill., where he became partner to his friend and legal and political mentor, John T. Stuart. A Two-way split in the Democratic Party and the formation of the short-lived Constitutional Union Party resulted in four candidates being placed before the electorate in 1860. Lincoln won with a plurality of 40 percent of the votes cast. Within two months, seven states - South Carolina, Mississippi, Florida, Alabama, Georgia, Louisiana, and Texas - left the Union out of fear that an administration stridently hostile to them was taking over Washington. Lincoln waited, then tried persuasion, but the Southern states responded by uniting into the Confederate States of America. On 12 April 1861, forces of South Carolina began a bombardment of Ft. Sumter in Charleston harbor. The fort capitulated the next day. On the 15th, Lincoln declared a state of insurrection and called for volunteers to put it down. Arkansas, North Carolina, Tennessee, and Virginia promptly seceded. The story of the remaining four years of Lincoln's life is inextricably entwined with that of the American Civil War, a subject that has inspired literally thousands of volumes. Suffice it to say that his guiding principle throughout the conflict was the restoration of the country's unity. When persuasion failed, he resorted to force. Though generals failed him, his own vision and per-severence did not. Lincoln suffered a loss of popularity during the political campaign of 1864 but managed to win reelection. Consequently, he prosecuted the war to its conclusion in April 1865. The great tragedy, however, may be that the country needed him more in the aftermath of the Civil War than it did during the conflict itself. 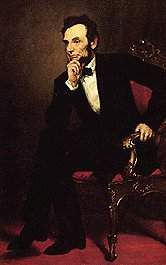 Inaugurated for his second term on 4 March 1865, Abraham Lincoln was shot by John Wilkes Booth on 14 April while attending a play at Ford's Theater in Washington, D.C. He died the following morning and was buried at Oak Ridge Cemetery in Springfield, Ill., on 4 May 1865. 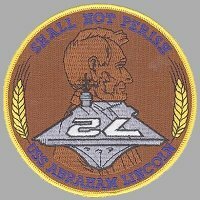 Click here to view more ABRAHAM LINCOLN Patches. July 27, 1989 Newport News Shipbuilding, Va. About 300 gallons of coolant water from the ABRAHAM LINCOLN spill into the James River while the ship is docked at Newport News Shipbuilding. A shipyard spokesman terms the amount of radioactivity released as "minuscule". November 10, 1990 A damaged landing gear forces a S-3A Viking aircraft to conduct an emergency landing on the flight deck using the crash barricade. Click here for a photo sequence of the landing. 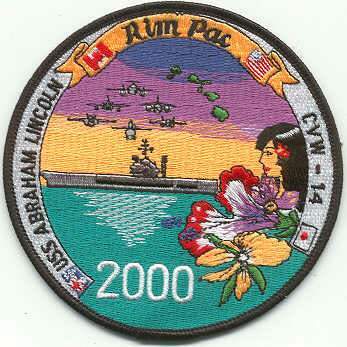 June 29, 1991 South China Sea Two F-14A ("201" and "205") of VF-213 are involved in a mid-air collision. 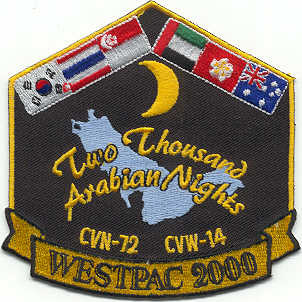 One F-14 ("201") crashed into the sea, the crew was rescued, and the other aircraft diverted to Singapore. July 8, 1991 off Sri Lanka An F-14A ("203") of VF-213 crashed into the sea, the crew was rescued by a helicopter of HS-6. 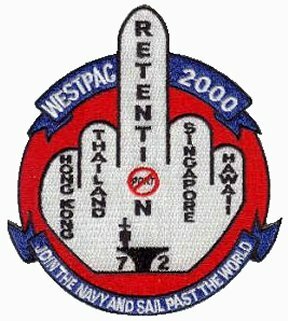 July 9, 1991 Indian Ocean Partial ejection aboard an A-6E of VA-95. 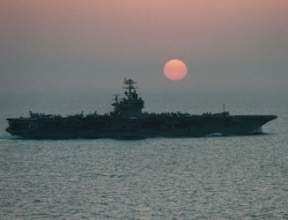 The navigator remained 6 minutes halfway outside the canopy in the air stream until the pilot managed to land the aircraft aboard USS ABRAHAM LINCOLN. The navigator survived. Click here for a detailed report of the accident including pictures and sound files. August 24, 1991 Persian Gulf An F/A-18 ("304") of VFA-94 crashed into the sea after catapulted off the deck. The pilot ejected and was rescued shortly afterwards. Initially, a cold cat was thought to be the reason for the accident. After the incident it was found that the aircraft had an engine failure which was believed to be caused by FOD at the time of launch. The "fodded" engine blew scrapnel into the other engine. Both engines failed and the plane crashed into the ocean after the cat launch. 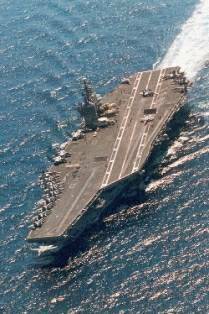 July 20, 1993 Indian Ocean An F-14 of VF-213 crashes on the flight deck whiel attempting to land aboard the ABRAHAM LINCOLN. The aircraft skids across the flight deck, with the majority of the plane ending up in the water. The pilot is killed in the accident while the Radar Intercept Officer is recovered with minor injuries. 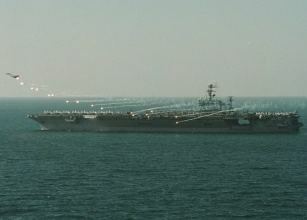 The carrier suffers minimal damage. September 8, 1993 Persian Two A-6 of VA-95 are lost after a mid-air collision over the northern Persian Gulf while both aircraft were returning to the ABRAHAM LINCOLN after a routine patrol mission. All four crew are recovered safely. January 28, 1995 off southern California During a Fleet Exercise in the SOCAL area of operations, a F/A-18 of VFA-22 crashes shortly after launching from ABRAHAM LINCOLN. The pilot is killed in the accident. February 15, 1995 off southern California During Joint Task Force Exercise 1995, a A-6 from VA-95 catches fire while at tension on the catapult. Both crewmembers are able to escape unharmed. 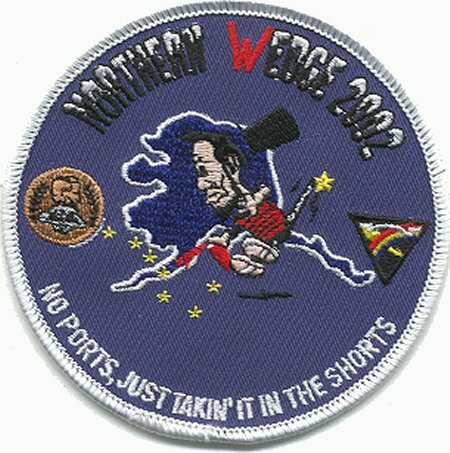 April 27, 1995 western Pacific An F-14A from VF-213 crashes during a routine mission. Pilot and RIO are recovered safely. June 5, 1995 Persian Gulf USS ABRAHAM LINCOLN and the USS SACRAMENTO (AOE 1) collide during an underway replenishment. 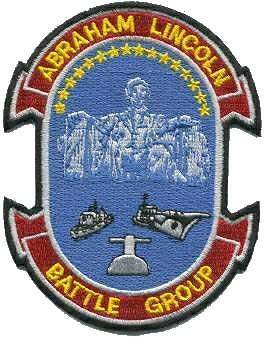 The LINCOLN is able to continue on her mission while the SACRAMENTO is heading for Jebel Ali, U.A.E., for several days of repairs. September 20, 1995 central Pacific An F-14A from VF-213 crashes during a routine mission. Pilot and RIO are recovered safely. December 4, 1996 eastern Pacific An F/A-18 from VMFA-314 crashes (ramp strike) during night flight deck certification on sea trials. The pilot safely ejects onto the flight deck and the plane is lost. No other injuries. 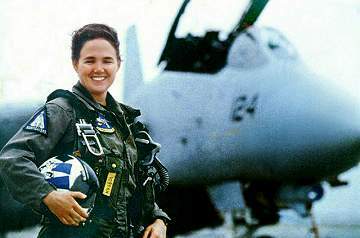 September 29, 2000 Persian Gulf Lt. Bruce Joseph Donald of Poughkeepsie, N.Y., was killed when his F/A-18C crashed into the Gulf after the jet lost communication with the aircraft carrier soon after taking off for a routine test on carrier landings. 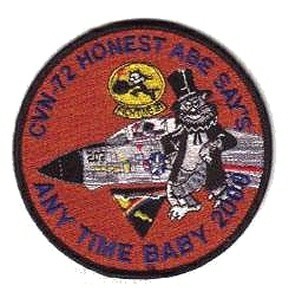 He was assigned to VFA-25. 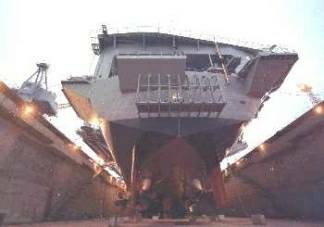 The photo below was taken by Ian Johnson on January 14, 2003, and shows the ABRAHAM LINCOLN in Gage Roads, Fremantle, Australia. This was the carrier's fourth visit to Fremantle and the longest visit to the city (January 6-19) by any US Navy aircraft carrier because the stay was used for routine maintenance (primarily preservation of the flight deck). The photos below were taken by me on July 27, 2006 (the first 3 photos) and on July 29, 2006, and show the ABRAHAM LINCOLN at Pearl Harbor, HI., after her participation in RIMPAC 2006. The LINCOLN visited Pearl Harbor July 26 - 29. The photo below was taken by me on March 13, 2010, and shows the ABRAHAM LINCOLN at Everett, Wash. The photos below were taken by Michael Jenning and show the ABRAHAM LINCOLN at Naval Base Norfolk, Va., on September 21, 2018.